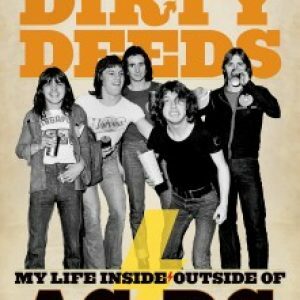 Dirty Deeds author Mark Evans is probably the only known core ex-member of a giant musical entity ever to be invited and then (after already being told to pack his bags), disinvited to join the Rock and Roll Hall of Fame. 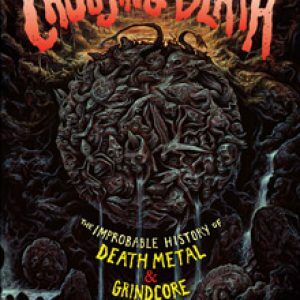 At this point, that’s ancient history, water under the bridge, etc. 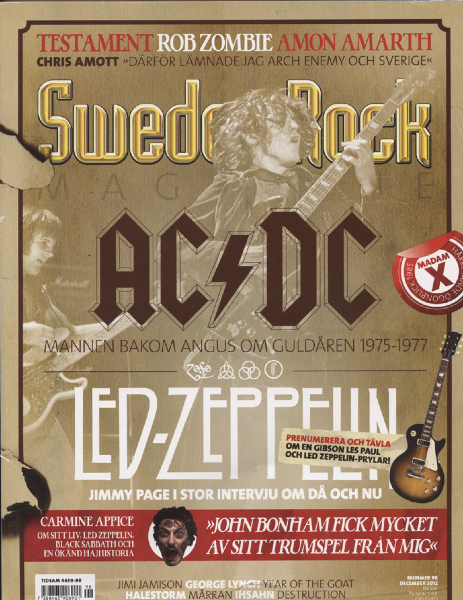 Anyway, Mark’s vindication is now here, thanks to the giant glossy Sweden Rock magazine, a national institution with a much better grasp of the value of a hard rock legacy. Mark adorns the cover of the December 2012 issue of one of Europe’s most obsessive music mags, taking the headline: “The Man Behind Angus in the Golden Years 1975–1977.” In a nine-page feature (see low-res gallery below), the first half of a two-issue special, he recaps the recordings of T.N.T./High Voltage and Dirty Deeds Done Dirt Cheap in depth. 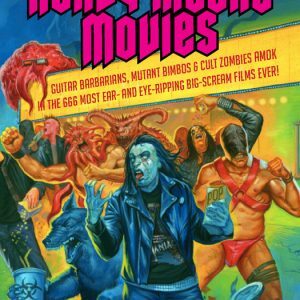 He also delves into bagpipes, squealers, wrong numbers, and AC/DC’s sinful first tour of Sweden; which hilariously was arranged as a quid pro quo on a government level after Australia opened up the gates for an ABBA invasion. Right on! More Mark Evans to come, including song-by-song memories of Let There Be Rock, in the next issue of Sweden Rock.